For a long time, realtors have used the Chocolate Chip Cookie Trick to sell houses. What is the Chocolate Chip Cookie Trick? Well, it's where they literally use the enticing smell of chocolate chip cookies baking in the oven to entice people to buy houses. Science is now saying that we associate smells with good and bad memories more than through any other sense, and I can't think of one reason why the smell of chocolate chip cookies could be bad! I've seen this trick work many times, and if you're in the market for a house, be warned that a realtor may be using the smell of Chocolate Chip Cookies to make you want to buy a house! But back to the task at hand: Baking the Best Keto Chocolate Chip Cookies on the planet. 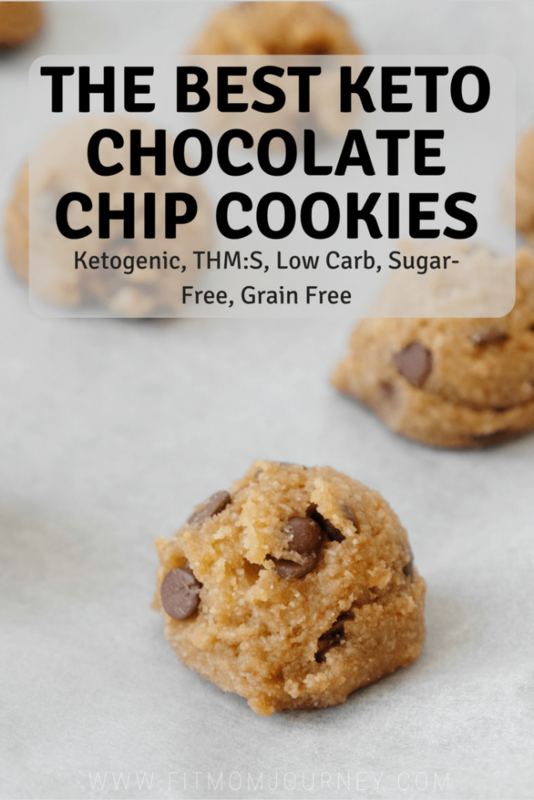 I've toyed around with tons of recipes for low carb or keto chocolate chip cookies, but generally they all left me disappointed. 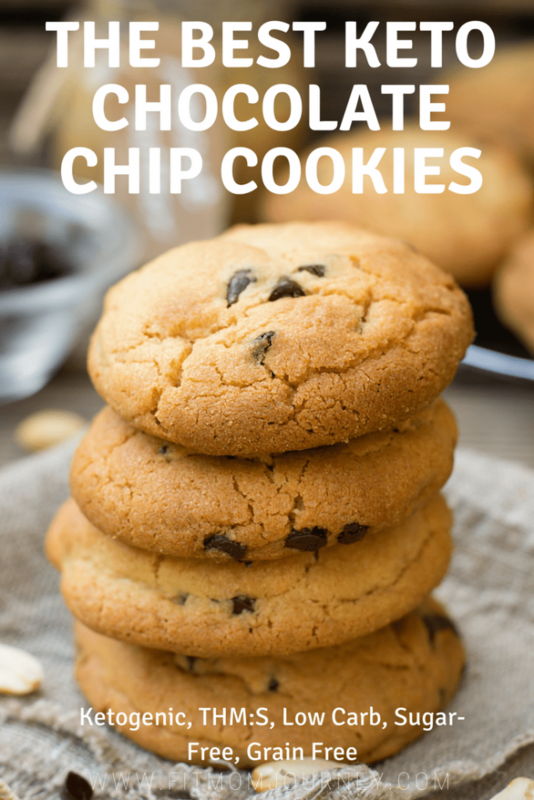 I've tried Fathead, Cream Cheese, Coconut Flour and more trying to come up with a recipe that was even passable for a chocolate chip cookie and just wasn't happy until I finally landed on the combination of Almond Flour + Brown Sugar Substitute! Honestly, you guys, I've had worse regular chocolate chip cookies than these, which honestly was the standard here. But in all seriousness, even my keto-resistant husband is on board with these cookies. Most weeks I'll whip up a big batch, and then put them 2 in a ziploc so they can go in his and my lunches! Note: I've recently switched over to baking with Swerve after doing a TON of experimenting with it. It bakes and cooks very well, although it is more expensive than other sweeteners. However, I believe it is worth the price to get good baked goods. To get a truly sugar free version of these, simply use Swerve Sweetener for both types of Truvia in the recipe. I really like using Truvia for my sugar substitutes when I'm baking. They are not the lowest in carbs or even made from my favorite alternatives, but they bake really, really well. 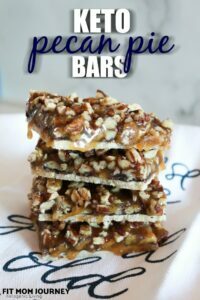 And, since I usually only eat keto desserts about twice a week, I want them to taste good. So, I use Truvia. 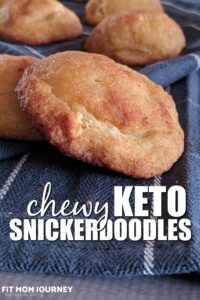 Their regular sugar substitute and Brown sugar alternative were game-changers for my keto baking. You can pick them up at your local grocery store or on Amazon. Make sure you get the butter and Truvia nice and fluffy. This gives the cookies good volume and make them be chewy, not dense. It's the small things that make these Keto chocolate chip cookies really good. Finally, please use Lily's Chocolate Chips in these. Making your own is great, and there are a couple of other brands out there that you could use (at your discretion, if it fits your macros). However, none of them are as keto and THM friendly as Lily's. Plus, I love that they use quality ingredients. The best price I've found has been from Thrive Market, (+25% off and FREE shipping on your first order through my link) but Amazon also has a pretty good price too. Preheat oven to 350. Cream butter and sugar substitutes together until fluffy, then add the eggs, one at a time, along with the vanilla extract and mix until combined. Mix in the flour, baking soda, salt, and gently fold in chocolate chips. Use a cookie scoop to portion the cookies, then bake on a parchment-lined cookie sheet, about ⅕ inches apart at 350 for 17 minutes. We like them best when stored in the fridge, but they keep just fine on the counter for a week, too. These are delicious. Do you have the macro count for these, especially the net carb per cookie? what are the nutrition facets? They’re real tasty by the way! Thanks! The cookies tasted really great, best recipe I’ve tried on taste. They didn’t crisp really at all. I followed the directions closely. They came out more airy than yours, and crumbly. I used Anthony’s blanched almond flour, Truvia baking sugar (brown and white). Any suggestions? What are the net carbs for these cookies? Also, how many are in a batch? 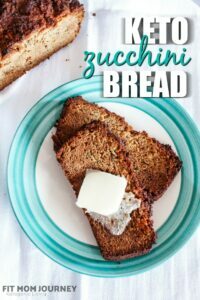 This might sound weird since this is a keto site,but is it possible to substitute regular white flour for the almond flour? 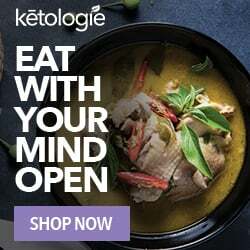 I am not doing keto or low carb or gluten free. I have done all of those in the past and I know they are good programs, but right now I am just trying to eliminate regular sugar. I have had trouble finding a chocolate chip cookie that is truly sugar free. I am not a fan of nut flours and ended up not eating baked desserts at all when I did t h m. Thank you! These are fabulous!! I made them and it came out to 26 cookies when using my cookie scoop. I added the ingredients into the Carb Manager app. If you make 26 cookies they are 1.6 net carbs per cookie (7.7g total carbs) 2.5g fiber, 9.7g fat, 2.7g protein at 108 calories per cookie. 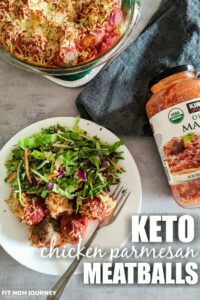 Thanks for posting the recipe!! Hi lisa so how many carbs will it be if we double and 40 cookies came out of the batch? Can you use Coconut flour for a sweeter taste?